2. Perspectives on English Revolutionary Republicanism Dirk Wiemann (Author), Gaby Mahlberg (Author) Published by Ashgate. 4. My next blog article will be a critical review of Selina Todd’s The People: The Rise and Fall of the Working Class, 1910-2010. 5. 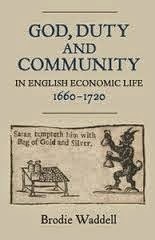 Friday 23 May: Birkbeck Early Modern Society presents a lecture by Dr Angela McShane, V&A, ‘How Happy’s the State where no Discord is Breeding?’: the Politipop of Seventeenth Century England. 6. Ashgate publishing has just released this important book called Royalists at War in Scotland and Ireland, 16381650 by Barry Robertson. It is clear from even a cursory look this is a much needed piece of research on an underwritten about subject. A review of this book will appear in the not too distant future. 8. Tom Reilly has produced a follow up book to his previously entitled book Cromwell An Honourable Enermy. His new book is somewhat controversially called Cromwell Was Framed (Ireland 1649) ISBN 978-1-78279-516-2 April 2014. Chronos Books (An imprint of John Hunt Publishing) the debate has already begun.